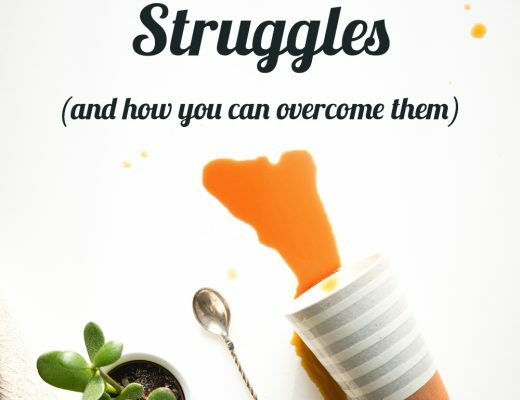 Eating out as a vegan can be tough. Especially when you’re traveling. Some cities are more vegan food friendly than others. I can say for sure that Munich is a veg-friendly city. 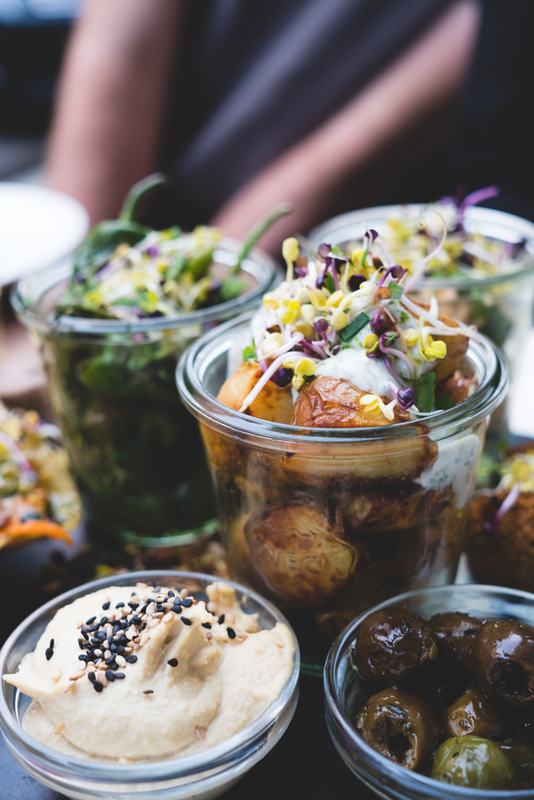 In the upcoming paragraphs, you’ll discover three vegan restaurants that you must try when you’re visiting Munich. Just recently I took a 3-day trip to Munich. Before the trip, I did research on the web for the variety of vegan restaurants in the city. 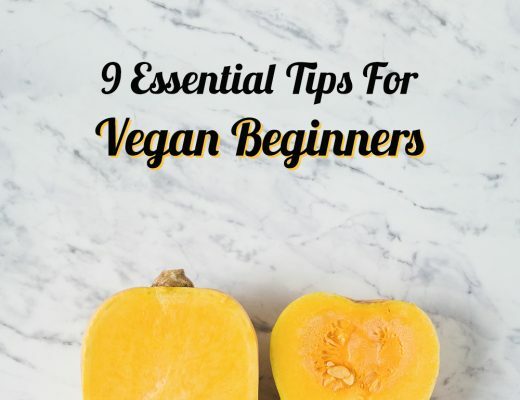 This saved me a lot of nerves as I didn’t have to think where I’ll be able to get a proper vegan meal. In case you’re traveling to a new city as a vegan, I highly recommend that you do research on the vegan and vegan-friendly restaurants beforehand. 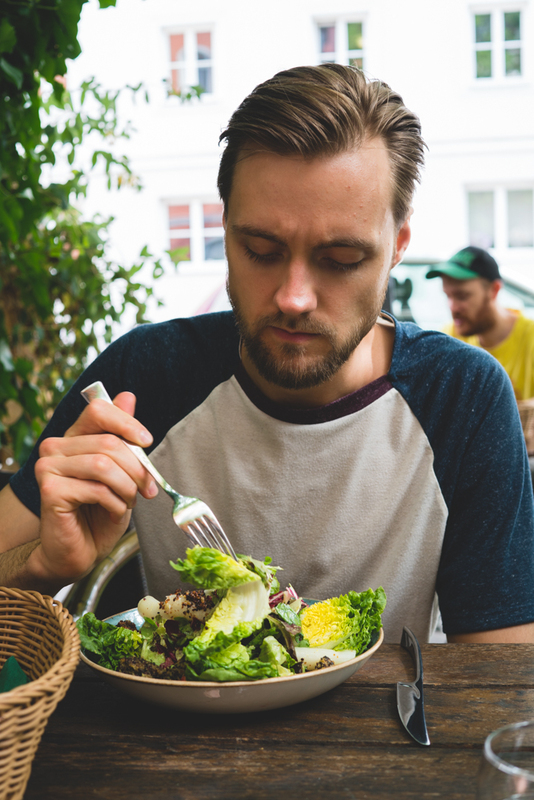 The last thing you want to do in the trip is wandering around the city with growling stomach looking for something vegan to eat! If you’re about to visit Munich, be prepared to be totally charmed. This city is a lovely place to be. Apart from being the capital of Bavaria and the third largest city in Germany, Munich is easily walkable, clean and filled with beautiful parks to visit. 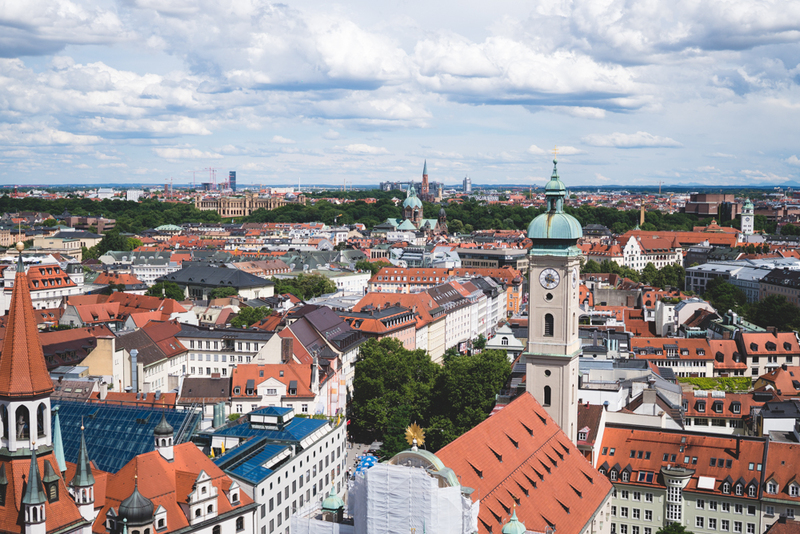 Although Munich is the place for a blooming high-tech industry, it goes hand in hand with the museums of the old city, street cafes, beer halls and, yes, good vegan food. 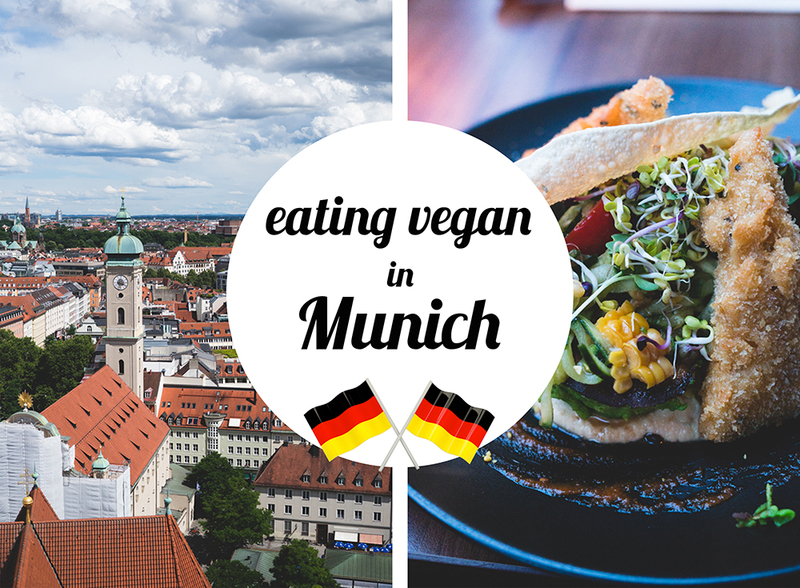 So here is the list of 3 must-try vegan restaurants in Munich! 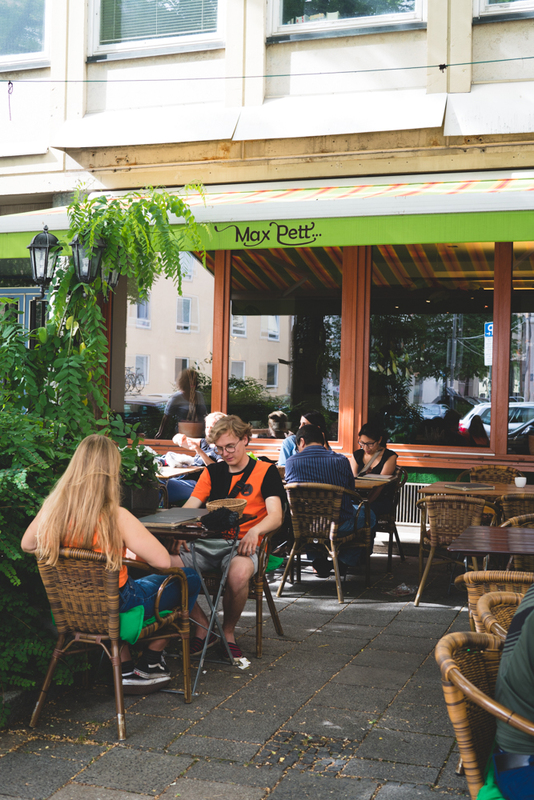 Max Pett restaurant is located close to the old city, near the Sendlinger Tor subway station. 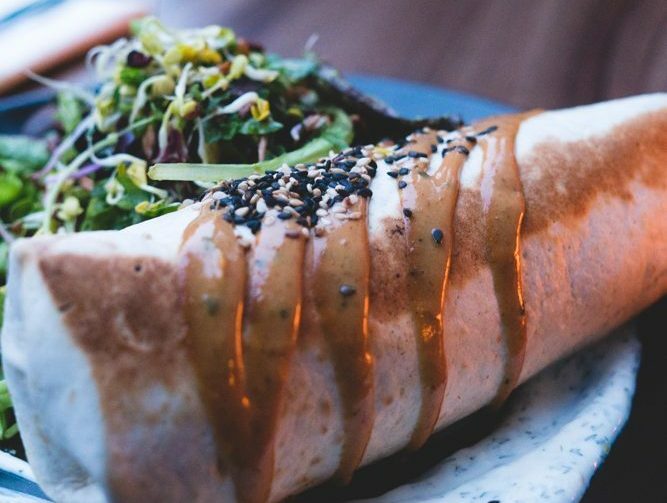 This restaurant is 100% vegan, and it doesn’t sell any alcoholic beverages (however, it offers some cool superfood cocktails and non-alcoholic wines). 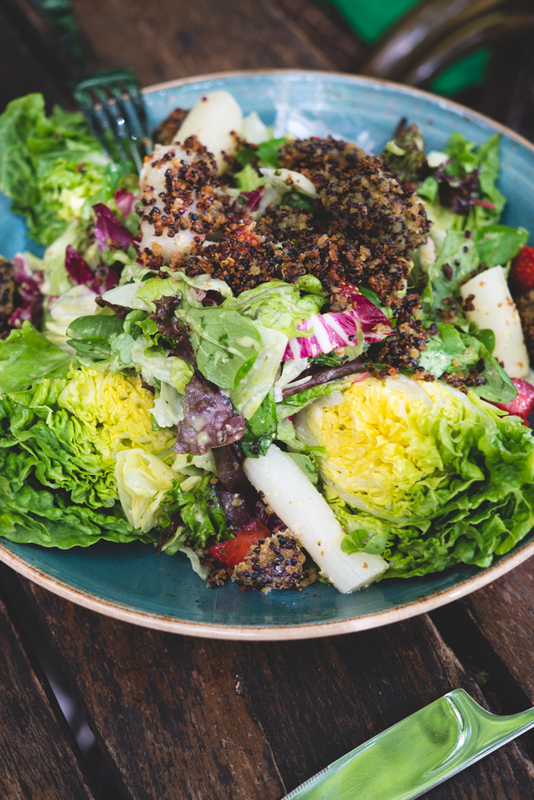 Max Pett is an ideal place for anyone who wants to try a variety of healthy vegan dishes like soups, salad bowls, vegan cheeses and non-alcoholic cocktails. I stopped by Max Pett after a long walk through the old city during a late lunch time around 5 PM. They had a lot of food option to choose from starting from snacks to soups, mains, and desserts. As you HAVE to try asparagus in Germany, I ordered asparagus quinoa salad. And it was absolutely delicious! The price for an entrée is from 15 to 20 EUR. The food arrived in 20 minutes, the overall atmosphere is very friendly and welcoming (they have tables both indoors and outdoors). 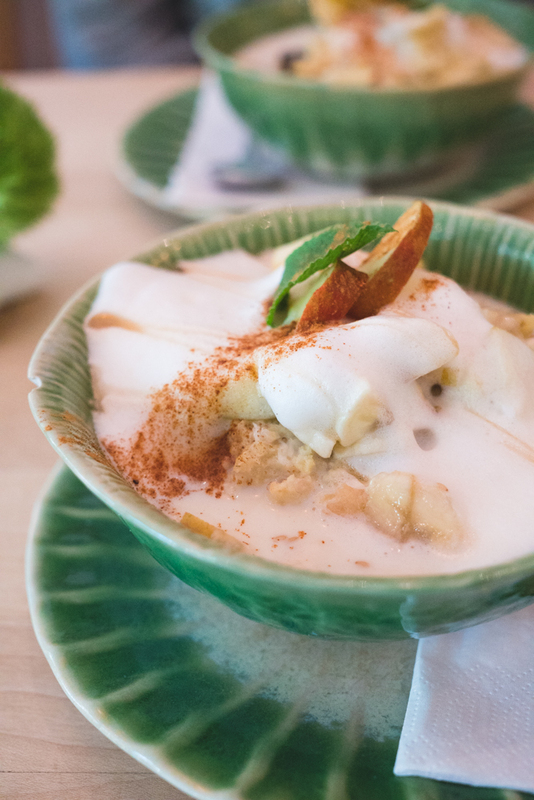 Gratitude restaurant is 100% vegan and is located in Maxvorstadt, the central borough of Munich. It’s about 20-minute walk from the old city. 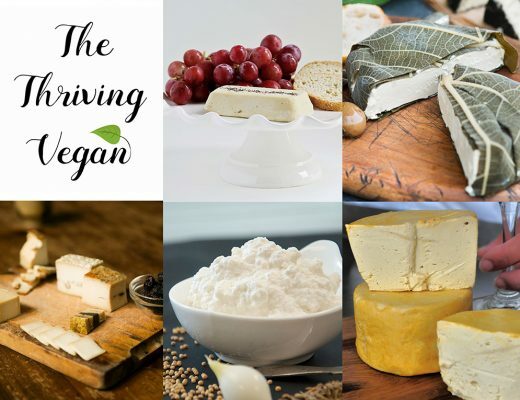 Anyone who loves fancy vegan food will love this place. They offer dishes like burritos, ravioli, avocado tacos with tempeh, cheesecakes and much more. From the other restaurants, Gratitude really stood out with the beautiful, thoughtful presentation of each dish. For the starter we ordered tapas. I couldn’t believe how beautifully it was served! The plate was filled with things like couscous salad, baked potatoes, falafel, bread, hummus, and olives. For the entrée, I had avocado tacos with tempeh. The tempeh was out of this world! Delicious, crispy and something my taste buds had never tasted before. Another friend ordered a burrito which was also very good. The price for an entrée is around 10 EUR. The only downside was that we had to wait for an hour to get our food. But it was probably because of Friday’s evening – the restaurant was packed with people. If you’re planning to have a dinner here, make a reservation beforehand! Tushita Teehaus happened to be the first place we went just after arriving in Munich from the airport. It’s only 5-minute walk from the old city and is right around the corner when you walk outside of the Fraunhofersrasse subway station. 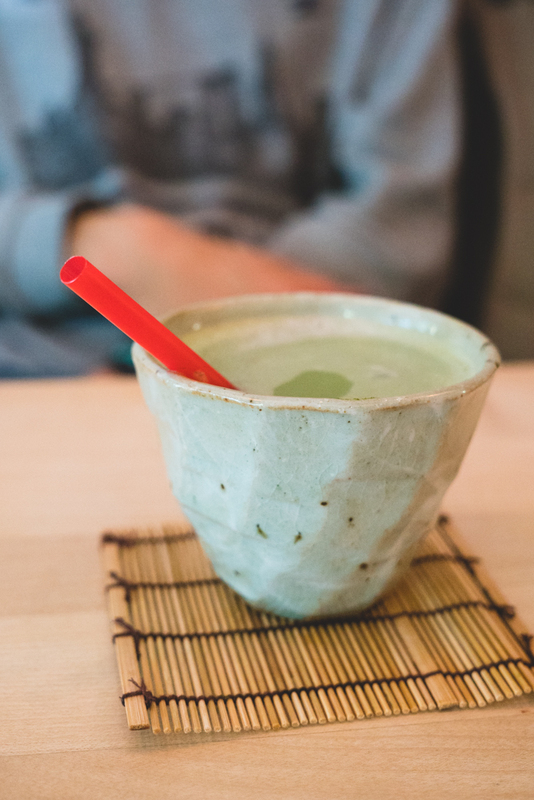 If you like cozy tea shops, this is the perfect place for you. 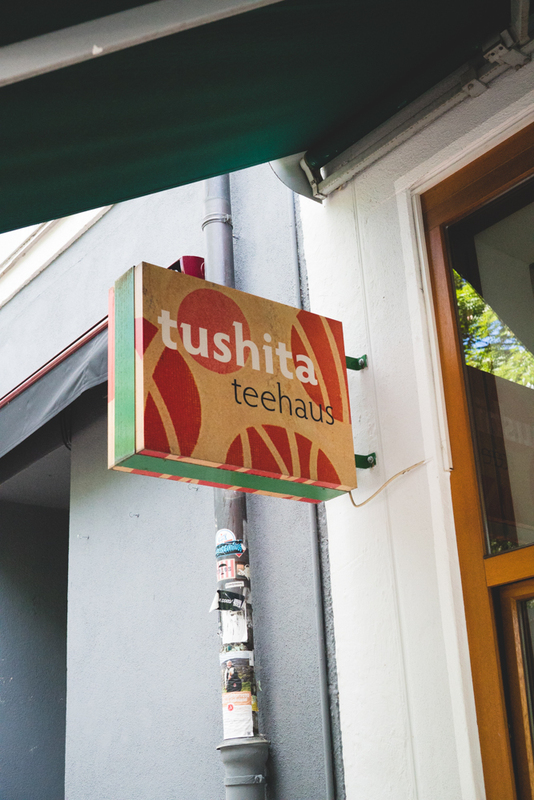 At first, it might seem that Tushita Teehaus is a café, but it turns out that apart from delicious matcha lattes’ and other warm drinks, they offer delicious vegan food as well! They also sell a lot (I mean A LOT) of tea and tea accessories, so if you’re a fan of tea in general, this might be your tea paradise. We went to Tushita Teehaus just around the breakfast time to see what they offer. As we were starving (quite literally), we ordered two bowls of millet porridge and a seitan-filled pastry. For drinks, we both had matcha lattes. Both food and matcha were delicious. The price for the breakfast bowl was around 6 EUR. Food arrived fast, it took only about 15 minutes. 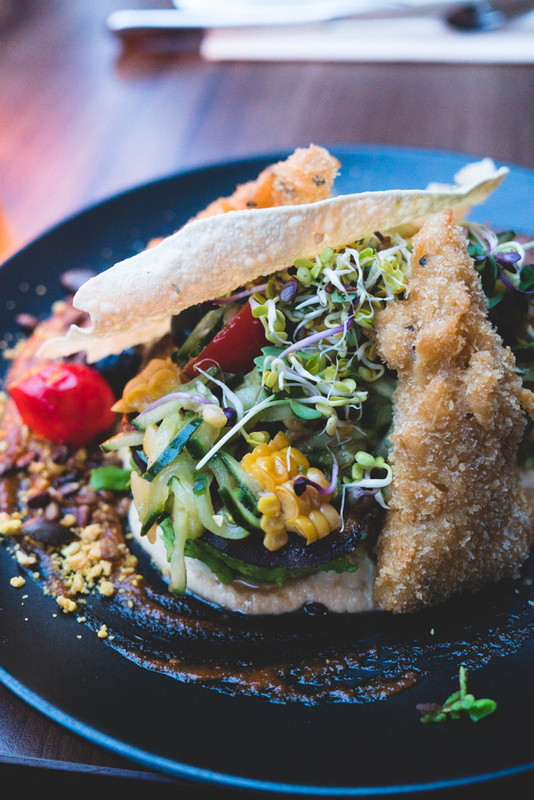 So these are three vegan restaurants you have to try when visiting Munich. Of course, there are way more vegan and vegan-friendly restaurants, but due to my short trip, I had a chance to try a few of them. Sorry, but I’m based in Latvia. I was just visiting Munich. Thank you Laine for the article! I am visiting Munich in a week as a vegetarian turning vegan. I have been doing my research and looks like Max Pett really stands out. It is mentioned in every post! When I think of Munich, i think i will have to essentially survive on potatoes, but looks like that’s not the case!